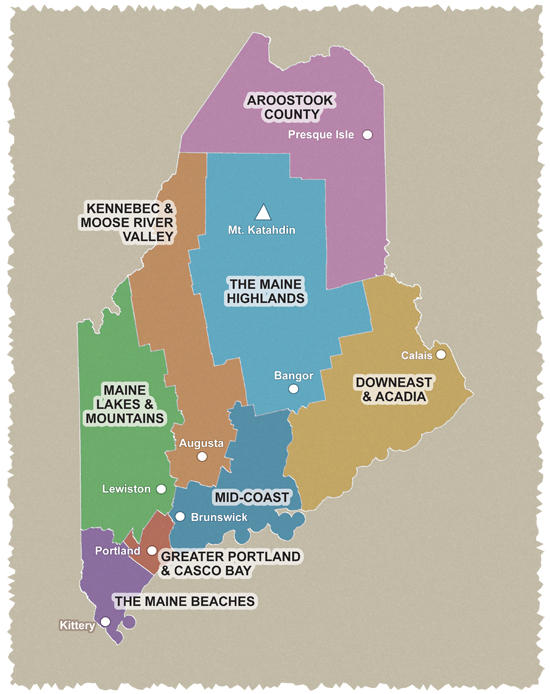 See Maine’s rural and agricultural past and present. This 140-mile ride takes cyclists through the heart of Downeast Maine. The route offers an unforgettable combination of the best of rural Maine and its small towns and villages, blueberry barrens and bald eagles. The 85 mile Down East Sunrise Trail runs along the entire Downeast coastal area, connecting multiple scenic conservation areas, intersecting salmon rivers, and is very near two state-designated Scenic Byways. This unique off-road rail trail connects Ellsworth with Ayers Junction, south of Moosehead National Wildlife Refuge on ME 214. This is the longest rail trail in New England and is the longest continuous section of the East Coast Greenway. Watch for moose, birds, and beaver as you experience the most spectacular wilderness on the East Coast Greenway. Parking areas for the Down East Sunrise Trail are located in Washington Junction. Machias, East Machias, and Ayers Junction, Detailed directions to parking areas can be found on www.SunriseTrail.org. For maps and turn-by-turn cue sheets, go to www.greenway.org.